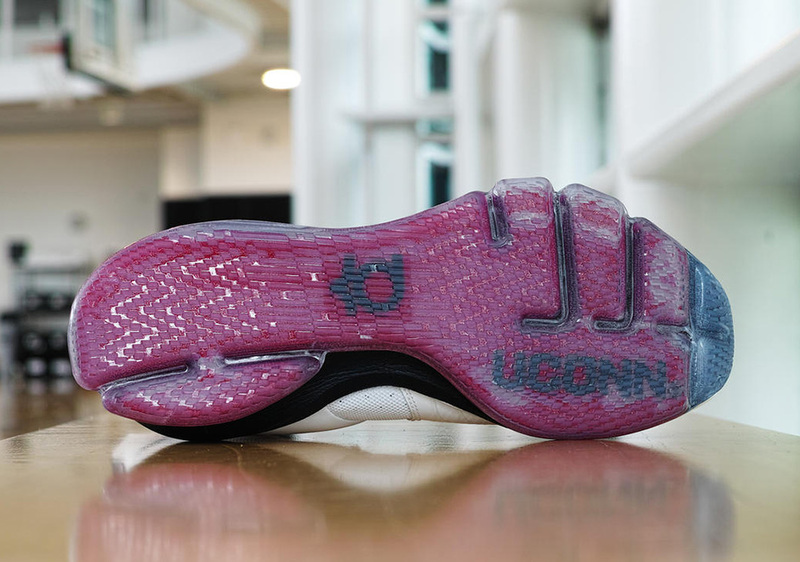 The University of Connecticut women’s basketball team might be the most dominant collegiate program ever assembled, in any sport. 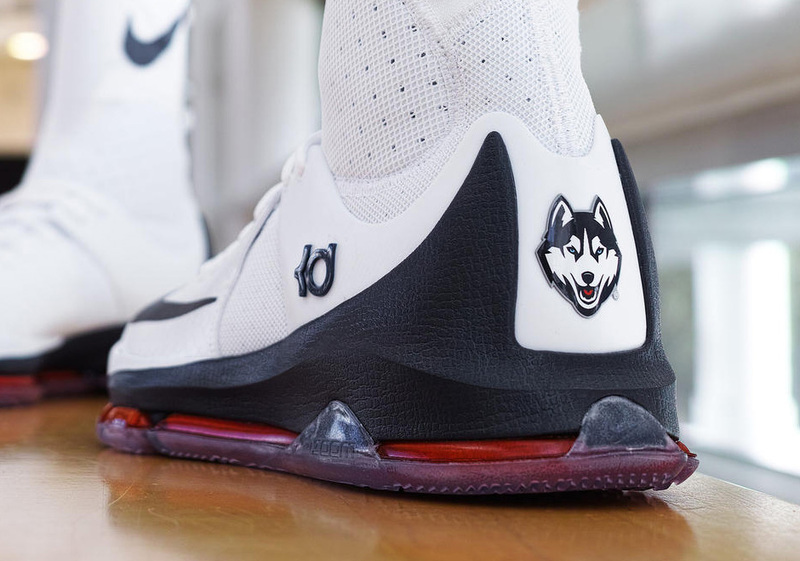 The Huskies have had win streaks of over 70 and 90 games respectively throughout the past decade and a half and have even claimed the national championship an astounding 10 times. 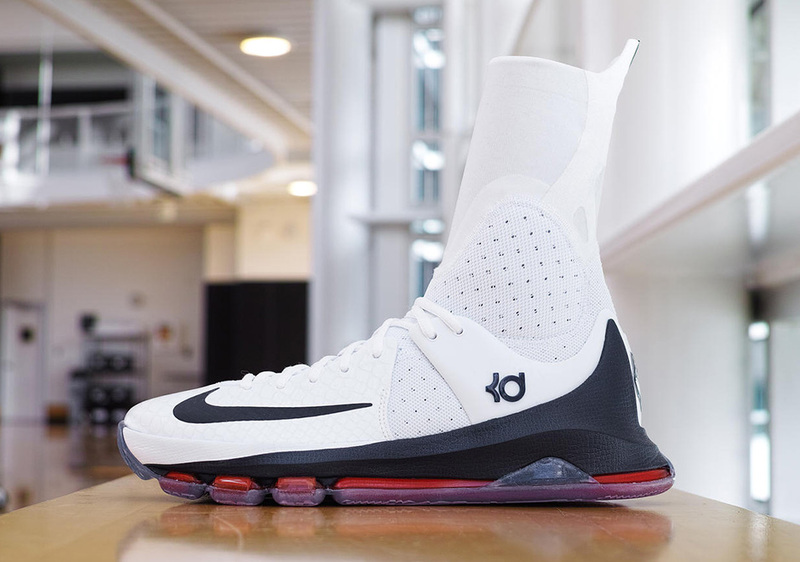 Nike Basketball is rewarding the squad’s hard work and effort with a new PE for tourney season in the Nike KD 8 Elite. The towering sock-like neoprene high-top makes the Kobe Elite series look like a mid-top in comparison. 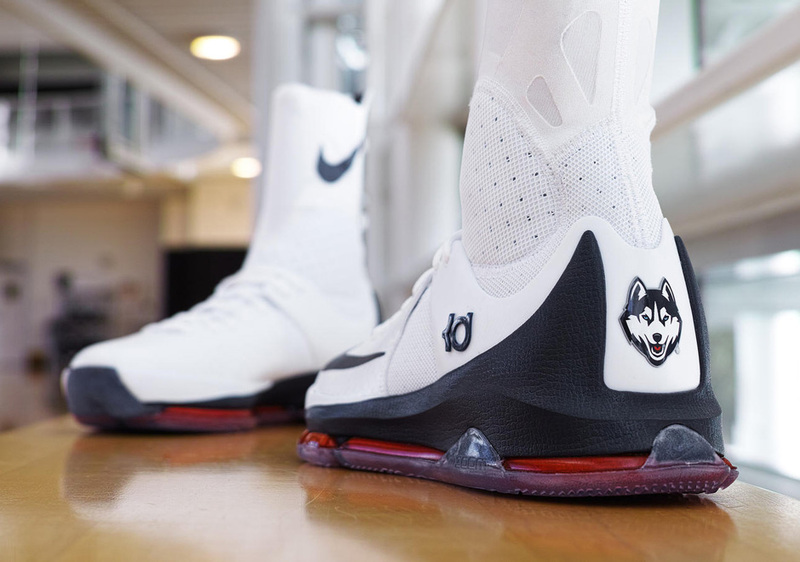 The Swoosh opted to go simple for this pair, as a standard white, navy, and red construction features Huskie branding on the heel and a “UCONN” wordmark on the semi-translucent outsole. 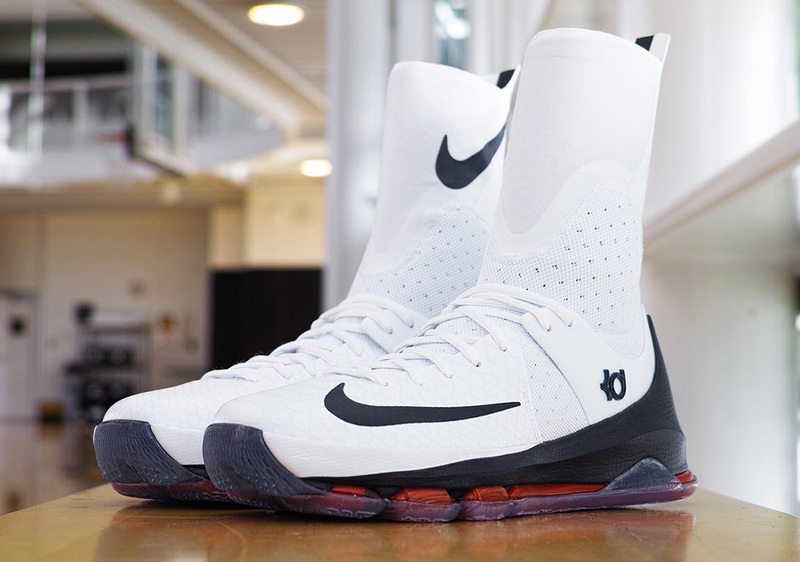 What do you think about the Nike KD 8 Elite “UCONN” PE? Check out more photos below.